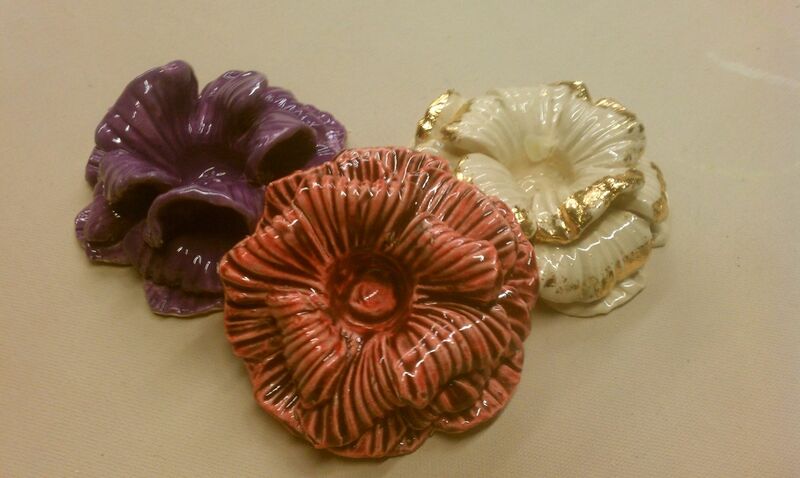 These holders are created from porcelain and glazed in various colors. The off white roses are finished with an accent of 24k gold leaf applied by hand. The reflections from the candles are marvelous for creating a mood.